An editorial piece on Central Michigan University’s website reminds us of the detriments of banning books, adding a new spin that by doing so might propagate an isolated and less diversified intellectual culture amongst a new generation of tech-savvy youths. From seminal classics like Romeo and Juliet to modern works like Harry Potter and the Twilight series, these books represent some of the top challenged books. Though they contain content might be upsetting to some, as Central Michigan Life notes, banning those books is not the answer, especially if the literature could be the way to broaden someone’s perspective of different cultures or challenging life issues. In America, it violates our First Amendment rights to consume and digest whatever media we please, and runs counter to the ideals of an informed democracy. Great literature teaches us to think critically and explore the artistic recesses of our minds. Literature allows us to reexamine our beliefs in the hope of strengthening those ideals. 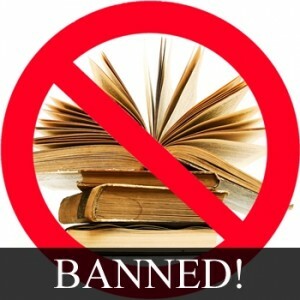 Banning a book because of disagreements over content strips children and people of all ages of the chance to grow and contribute to the our marketplace of ideas. This idea that exposure to different kinds of literature can make us better critical thinkers and ultimately more empathetic global citizens isn’t just reserved for the maturing adult. As the National Ambassador for Young People’s Literature and acclaimed graphic novelist Gene Yang aptly notes, inspiring children to get involved in reading an eclectic range books at a young age is also critically important in allowing people to explore new cultural ideas and embrace diversity in their communities. His program as ambassador, “Reading Without Walls,” articulates the necessity of breaking out of our literary comfort zones; something that cannot be accomplished if we ban books from bookshelves. Unfortunately books do get challenged at the school level, and often it is up to the local community, school administrators, and free speech advocates like CBLDF to prevent the limited views of some to dictate the access to books for all. “We understand that parents and religious organizations reserve the right to withhold ideas deemed inappropriate from their children and followers,” the piece continues. “It is up to parents to decide what a child does or views inside the confines of the home. That right, however, does not extend to government entities,” and it certainly doesn’t extend to bullying tactics that could comprise the integrity of all children’s educations. Read the editorial in its entirety here.